Osisko Mining (TSX:OSK) has rejected Goldcorp's $2.6 billion takeover offer and has recommended that shareholders do the same. In a statement issued Monday, the Quebec miner has called Goldcorp's offer "financially inadequate and not in the best interests of Osisko." 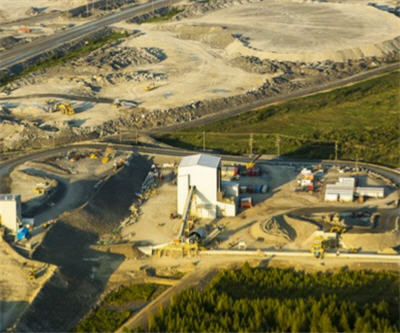 "Goldcorp’s Offer significantly undervalues Osisko’s world-class Canadian Malartic mine, and the rest of the Company’s portfolio of high-potential projects in North America," Osisko wrote. The miner has also called Goldcorp's bid "opportunistic" in terms of timing and says that the offered premium "is substantially below the premiums paid in other relevant metals and mining transactions." The company's Board of Directors have unanimously recommended that shareholders reject the hostile take-over bid. Osisko's flagship project is Canadian Malartic, a gold mine that completed its ramp up in 2013 and is now in the optimizing phase. The mine is expected to produce an average of between 500,000 to 600,000 ounces of gold per year over its 16-year life. Goldcorp has been trying to acquire Malartic since 2008. Osisko was trading at around $6.45 per share on Monday. The company went from less than $5 per share to above $6 around the time Goldcorp publicized its offer.